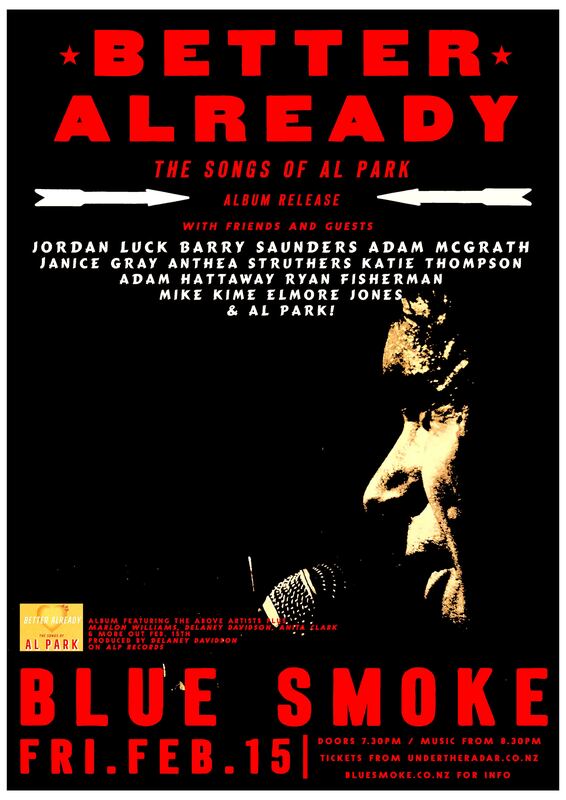 A showcase to celebrate the release of ‘Better Already’ – The songs of Al Park. 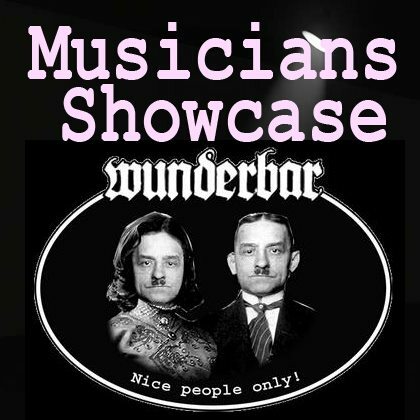 Buy a copy of the new album and get free entry to the show. Jordan Luck, Adam McGrath, Barry Saunders, Janice Grey, Adam Hattaway, Anthea Struthers, Helen Mulholland. (Also on the record but not at the show, Marlon Williams, Delaney Davidson, Anita Clark). With the backing of an all star band throughout: Elemore Jones, Ryan Fisherman, Mike Kime and Adam Hattaway. Over the years Al Park has woven a rich tapestry out of the experience of being a musician in the relatively small city of Christchurch. He has commandeered many a Saturday night as front man of his own bands and has given a huge amount of positive energy to the local music scene in his role as organiser and promoter. to quote Townes, “for the sake of the song”. 1989. Forging strong ties with Adam McGrath in Echo Records or mentoring a young Marlon Williams. Harbour Union, and Anthea Struthers in Runaround Sue. He currently works with Elmore Jones and Adam Hathaway playing more nights of the week than not. This album features songs Al has written over the years and serves both as a tribute to his work by his peers and also as evidence of a life lived fully in the heart of a community. “It’s a thank you, a very loud and appreciative tip o’ the cap to someone who has had a shoulder to many wheels, a hand in many helpings, a voice of wisdom in many thinkings and wonderings” Adam McGrath.